It’s not until you decide to move that you realise how much stuff you actually own and how often you use it. The reality of having to pack it all up to move to your new house can be quite daunting. After our recent move I’ve put together my packing and moving tips to help make your moving process easier, save time and frustration. The choice is up to you if you want to do the move to the new house yourself or invest in a removalist, either way you still need to pack everything up. I hired removalists as we had so much stuff and both my hubby and I have bad backs, it was too big of a job for either of us to consider. Wanting to create your next move as stress free as possible? Spending a little time planning now can save you a whole lot of hassles in the days leading up to move home, which is when you will be too busy to think about all the other little things involved in moving house. This helpful moving planner will help you organise your move, with checklists for all elements of moving, pages to help you plan dates, room layouts and more, you’ll find everything you need to eliminate the overwhelm and be able to focus on being ready and stress free for the day you move house. 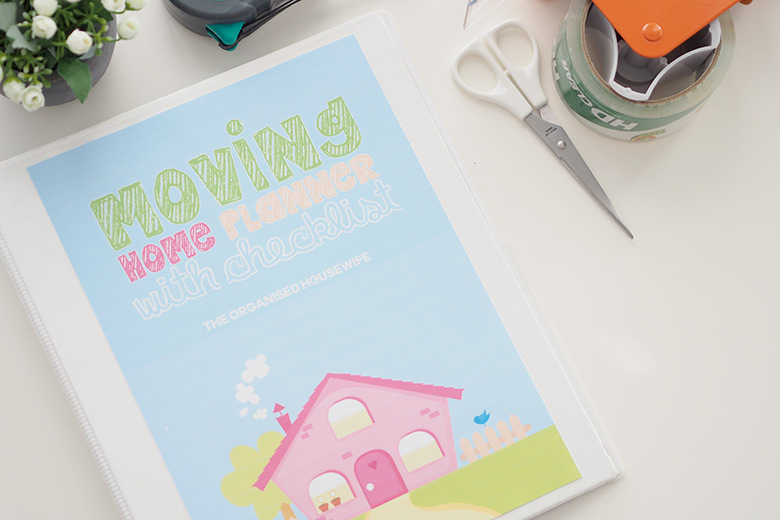 My Moving Home Planner with 6 week countdown checklist is available as an instant download, so you can start planning your moving process today! 1. 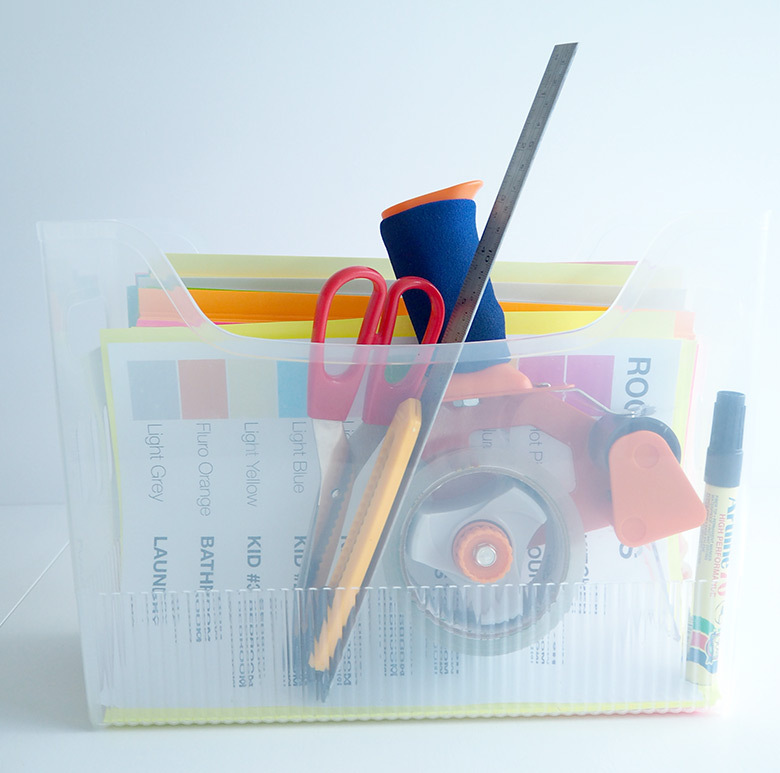 Created a moving caddy – to have everything on hand so I wasn’t continually searching for it. If the kids used it they knew where to return it back to. 2. Book your removalist – remember book removalists weeks in advance, as many removalists book up quite quickly and you may miss out on the date you want. 3. Gather boxes – your local storage shed and hardware store should stock moving boxes. I found boxes the cheapest from Bunnings. The benefit from purchasing from Bunnings is you can return the ones you don’t use. 4. Purchase used boxes – great money saving tip – look on gumtree or your local Facebook buy and sell groups to purchase used boxes. 5. Purge as you pack – take the opportunity while packing to purge items you no longer use. Sell, donate or throw these items away, don’t take items you no longer use to clutter up the new house. If you don’t have the opportunity to part with them before the move label the box to sell or donate so you don’t unpack it. 6. 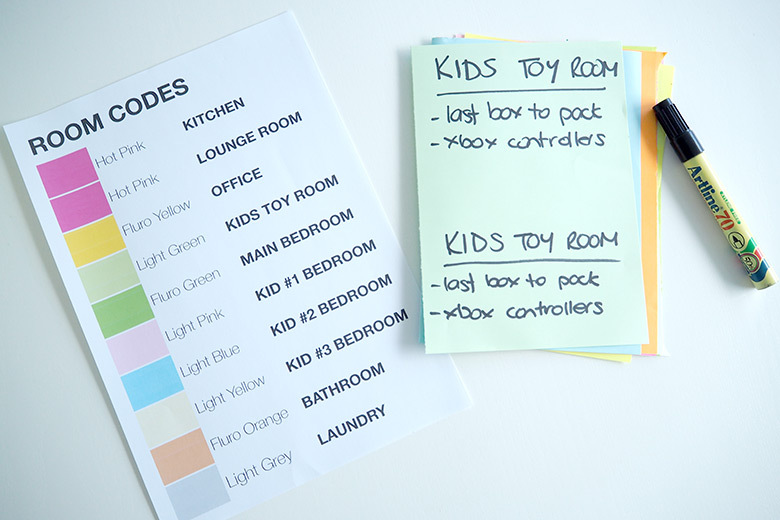 Colour code the boxes – colour coding boxes so it’s easy to identify which room they belong in. I picked up some packs of A4 paper from Officeworks. I created a template in excel on the computer to colour code each room. 7. Label each box – when labelling boxes write which room it belongs to along with the contents on the top and side of the box. By labelling the sides you can easily identify what it in it when the boxes are stacked. 8. Rate each box – give each box a star or number based on the priority it needs to be unpacked. eg 3 stars for high, 1 star for low (can take a few weeks if it needs to). 9. 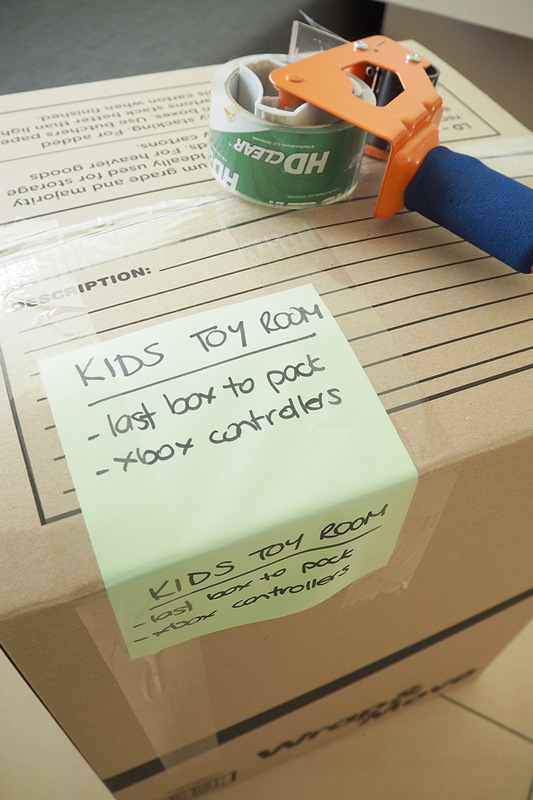 Place boxes in correct room – get the removalists to put the boxes directly into the room labelled on the box, this will help make the unpacking process more manageable. 10. Don’t write valuables on the box – we want to trust those helping us move, but you never do know what can happen. If you have a box of valuables going with the removalists don’t broadcast it by writing it on the box, give it a codename eg. Nanna’s Linens. 11. 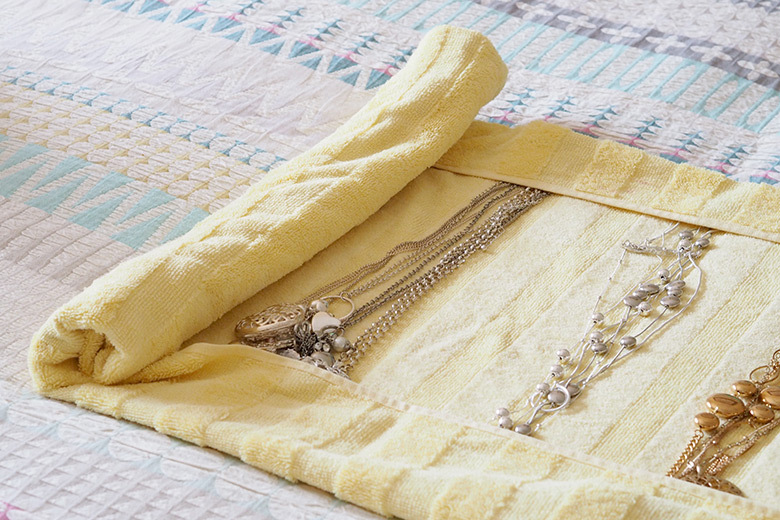 Roll up jewellery – lay jewellery onto a bath towel, fold over each edge, the roll up towel to help prevent necklaces getting tangled. 12. Keep it light – don’t make boxes too heavy, it’s easy to fill them up but consider how much they will weigh, you don’t want the bottom to break away. 13. Where to start? – start packing in the kitchen, put heavy items at the bottom of a few boxes, then load those boxes with lighter items. 14. Wrap breakables – use clothes, tableclothes, tea towel and/or towels to wrap around breakables. 15. Wrap glasses – use socks to wrap around glasses. 16. Wrap artwork and/or large items – in doonas, quilts blankets etc. 17. Use pillows etc – use pillows, cushions and stuffed animals to pad things and keep them safe from breaking. 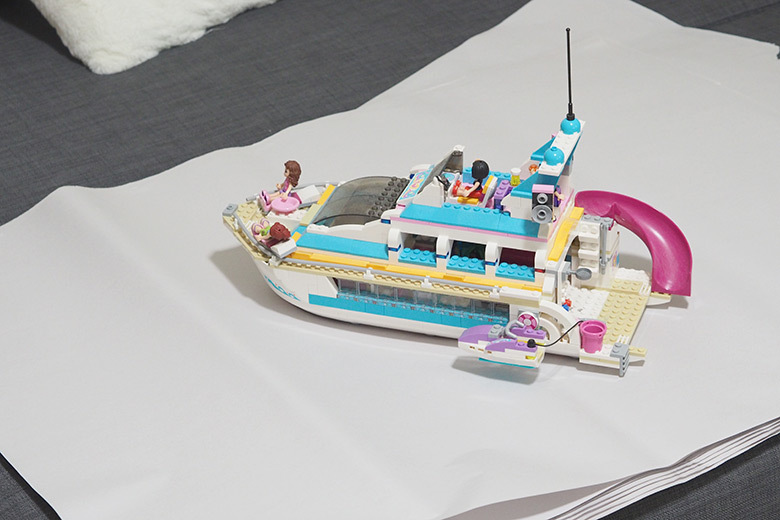 I put the kids lego amongst our cushions so they didn’t have to be dismantled them and transport them as a whole piece. 18. 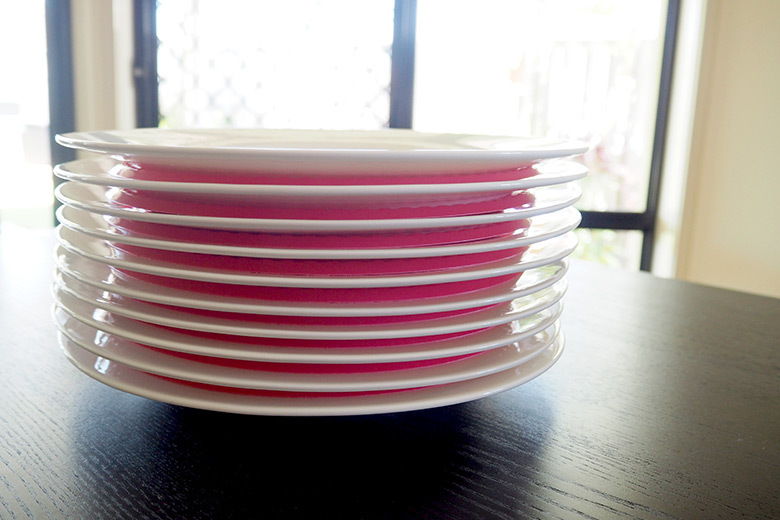 Prevent plates from breaking – if you have run out of paper try wrapping plates individually so they don’t break, place plastic plates in between . I used the plastic plates that night for dinner as we really didn’t want to wash up we were so tired. 19. Remember display placement – take photos of display cabinets so you know how to organise it at the new house. 20. Remember where cables go – take photos of how the electronics cables are connected to easily know how to reconnect them at the new house. 21. Don’t lose screws – when removing screws from items place them in a zip lock bag and tape it to the piece of furniture it corresponds to so you don’t lose it. 22. Keep boxes organised – use plastic grocery bags to keep the contents inside the boxes organised. ie. place items from the top of your bedside table drawer into bag 1, label bag top drawer. Items from 2nd drawer into bag 2, label. 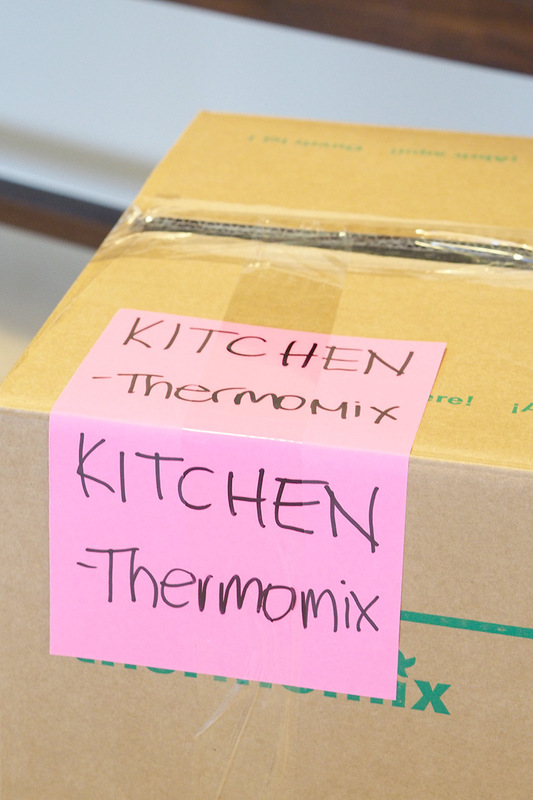 This will help you easily unpack and place back into the drawers. This is particularly handy for office drawers too. 23. Tape cables to electronics – to prevent the confusion of what cable belongs to which electronic, tape the cables or cords to the base of it. I say base in case the tape leaves sticky marks it’s not so worrisome on the bottom of it. 24. Fill nail holes – use white soap to fill nail holes in the wall. 25. Eat from your fridge and pantry – don’t do big grocery shops before your move, plan dinners based on food you have in your fridge and pantry, try to use them up before you move. 26. 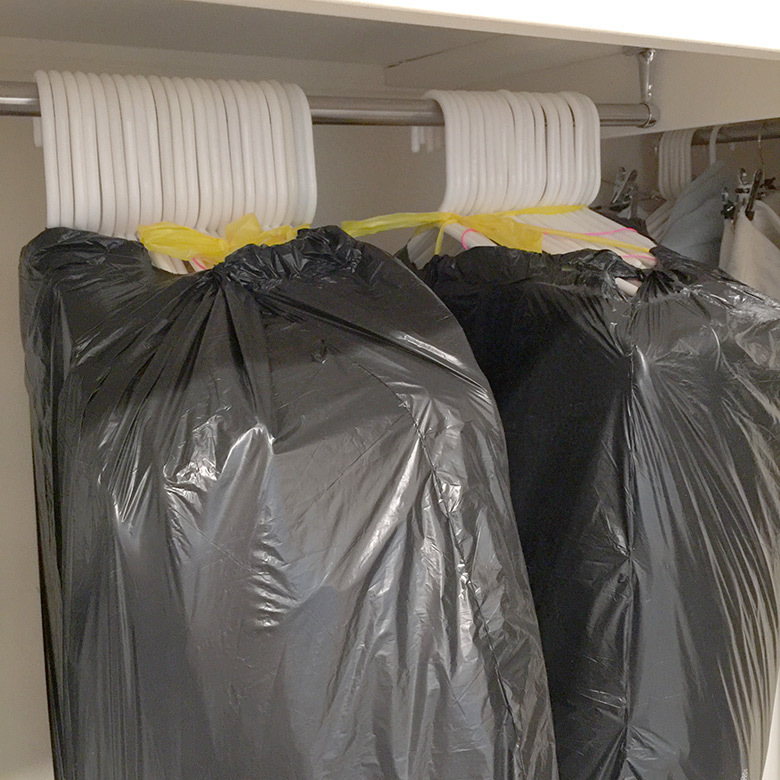 Don’t take clothes off their hangers – use a bin liner to wrap around clothes to easily transport. Wrapping them from the bottom will help prevent losing any clothes that might slip off the hangers. 27. Kids toy boxes – wrap small-medium size toy boxes in plastic bags or plastic wrap to save you unpacking the box into another box, wrap with plastic to help keep the items from falling out. 28. Think outside the box – don’t forget to pack items in baskets, hampers, suitcases. 29. 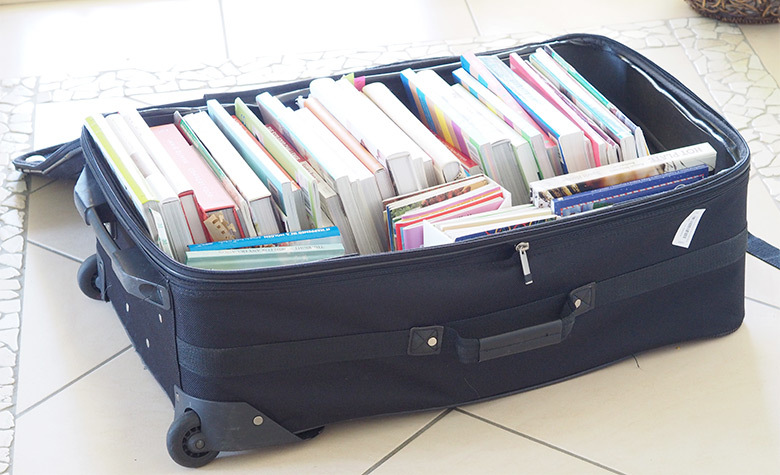 Place heavy items in a suitcase – place books in suitcases they are easier to roll than lift. 30. Remove light bulbs – to prevent them from breaking during the move. 31. Toilet Paper Rolls to stop tangling – use toilet paper rolls to keep necklaces organised. 32. 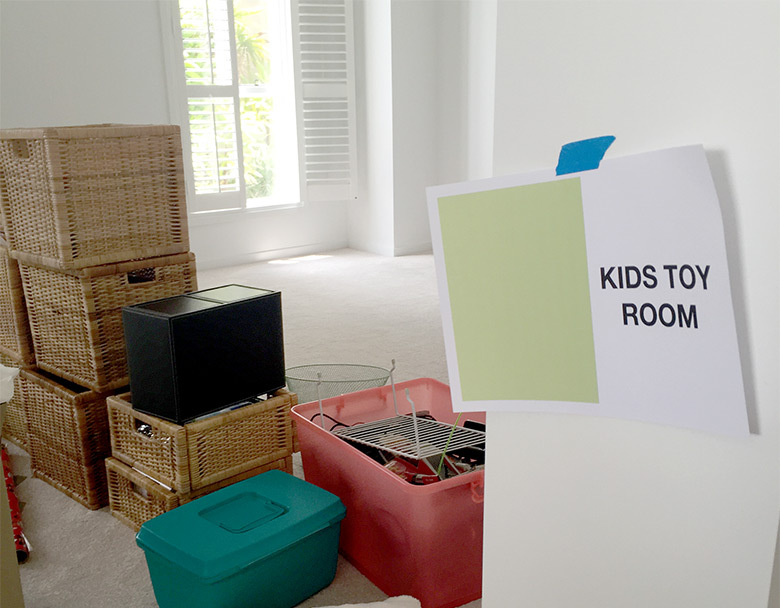 Finish it all before moving day – don’t leave any packing for the day of the move. Have everything ready the night before. I was really surprised that the removalist company managed to pack up our entire house in a matter of 1.5 hours. There was no time for me to anything more than to clean up behind them. 33. Grocery home delivery – place a grocery order to get delivered a few hours after you plan to arrive at the new house. For general items such as fresh bread and milk for breakfast the next morning. This is particularly useful if you have managed to eat most of your items in your pantry. We also ordered sausages and had sausage sandwiches for dinner on our first night. 34. Pack an overnight bag – get each family member to pack an overnight bag, with their toiletries, toothbrush, PJ’s, a change of clothes to easily have on hand on the night of the move. Save searching through boxes and everybody can have a comfortable nights sleep. 35. Sketch a plan – draw out an plan of where you want large furniture items placed in your new home. ie where you would like your lounge to be positioned. This is handy if you aren’t around somebody else can look at the plan and place the items in the correct place for you, saves your back later. 36. 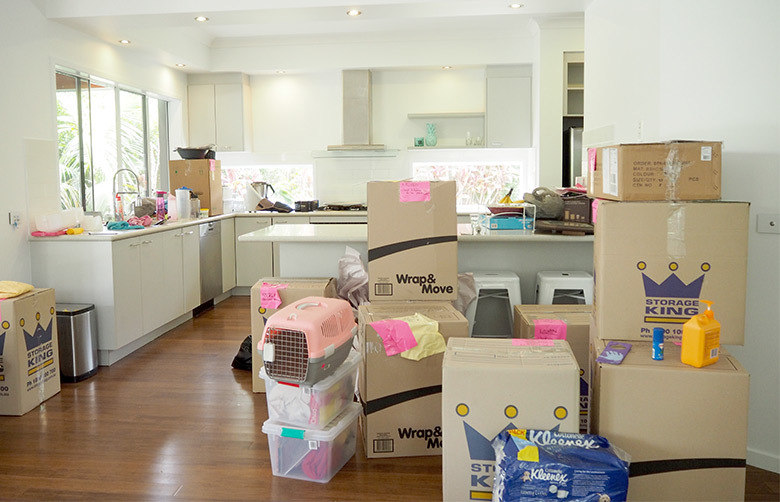 My biggest tip is – before you move give your new house a good clean before moving all the boxes over. It’s so much easier to wipe over kitchen shelves and vacuum all the carpets while the house is empty. Despite the showers looking clean I gave them a good clean again. 37. Take photos of your new home – so you can take the time to look through them and be able to visualise where you want items placed before the move. This is also good for renters to have as a reference for their landlords to prevent unnecessary repair fees (as it may have been broken before moving in). 38. Organise pest control – get the pest control to spray the house the day before you moved in, then you dont have to worry about moving any furniture later. 39. Bathroom stocked – put toilet paper, hand soap, hand towel in each of the bathrooms. 40. Shower ready – put soap and bath towels for each person in the bathrooms, after a long day you will want a nice shower. 41. 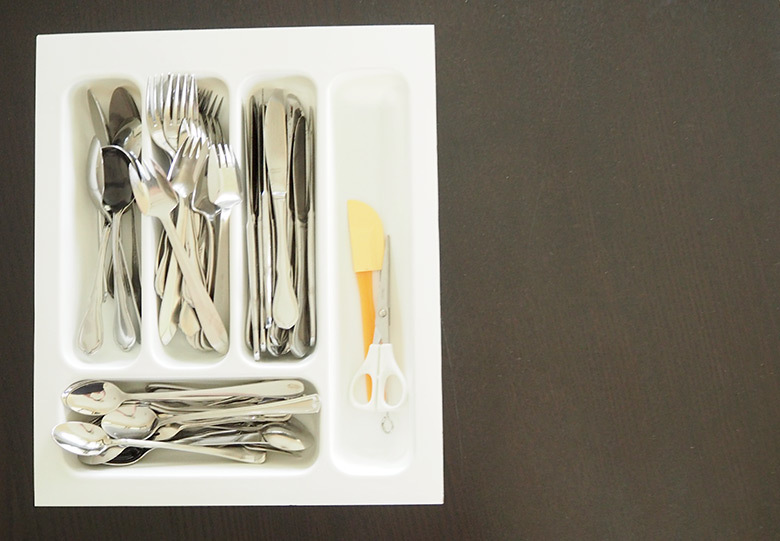 Take the cutlery drawer – Does the new house have a removable cutlery drawer? Lift it out and bring to your current house so you can place the cutlery directly in it, much easier to transport and you can simply place it into the drawer at the new house. Wrap the cutlery tray in paper and tape up to prevent the cutlery falling out. 42. Check that lights work – have a few spare light bulbs on hand just in case. Strangely some people take them when moving (I wouldn’t recommend this). 43. Babysitter – if possible, organise to get somebody to look after the kids and pets. 44. Valuables – keep your most valuable items with you during the moving process ie. jewellery, passports etc. 45. Esky – have an esky and ice packs on hand to put in all the food from the fridge. 46. Clean fridge – take the opportunity to give the fridge a clean out while it’s empty. 47. Dust under fridge – be ready for a heap of dirt and dust that may need to be cleaned up from under the fridge. Make sure you have your dustpan on hand. 48. Get items from storage – Get the removalists to pick up items you have in storage, this is a huge back saver! 49. Bed assembly – Get the removalists to help you assemble any furniture like beds, it’s a job that you really don’t want to be doing late in the evening while everybody is exhausted and tired. 50. What to unpack first – determine which room you want to unpack first, so at the end of the day you can relax in a not so cluttered space. Don’t make your first meal in the new house too difficult, sausage sandwiches were our go-to meal, or you could spoil yourself with takeaway. Colour coding– having the boxes colour coded I believed really saved us so much time and back ache by getting the removalists to drop them into the correct room. Purging as I packed – I managed to purge before packing, selling most on Facebook buy and sell pages and donating to our local charity. Majority of what I had in boxes was items we used so there wasn’t anything in our boxes that wasn’t to be unpacked. I did however label a few boxes of items that shouldn’t be unpacked, like kids trophies as in the new house they only wanted to display a few not all 50+ of them. They are currently sitting tidily to the side in the garage. Don’t be too organised – unpack the boxes and place into drawers and cupboard, but don’t be too worried about it being orderly and organised, once all the boxes are unpacked you can go back when you have time and neaten it up. What a great list! The best thing that someone did for us (when we moved with 2 young children & a baby on the way) was to make up all our beds! It was heavenly to be able to just fall into a nicely made up bed at the end of the day!! It can be hard for helpers to be able to do much of the unpacking into cupboards etc, but this was something so simple & yet so appreciated! We have done the same for family who have moved too – just because I know how nice it felt. ooh wow yes I could just imagine how lovely that would have been, such a great idea and a wonderful way to help. You are truly the most organized person I have ever seen. Well, I do like to stay organised, otherwise if I am not I feel all over the place and messes with me a little when I’m not. This is so timely! We pick up the keys to our new house in 3 days and I’m a walking disaster over here. Thankfully we have a week’s grace where we have both houses on the go and the houses are only 10 miles from each other. Great tips! that will make it easier, we had the same, which enabled me to bring the cutlery drawer home from the new house so I could easily transport all the cutlery over and just place it straight into the drawer. We also took the clothes on our travels to the new house and just hung them straight up into the wardrobes. Best of fun for your move! I am glad you are giving all these moving tips. I move in about 4 to 6 weeks sll depending on how long the renos at new house take. How fun for you Seona, all I can suggest is start packing now, the things that you don’t use everyday like albums, ornaments. Don’t leave packing to the last week as more than likely you have more stuff that you realise! You have given us a lot of great tips here (love the colour coding and the cutlery drawer tips), but your suggestion of placing books in suitcases is the best moving tip I’ve ever seen! Well done and I’m definitely going to remember that one! Will movers take items in a bag and in open baskets? 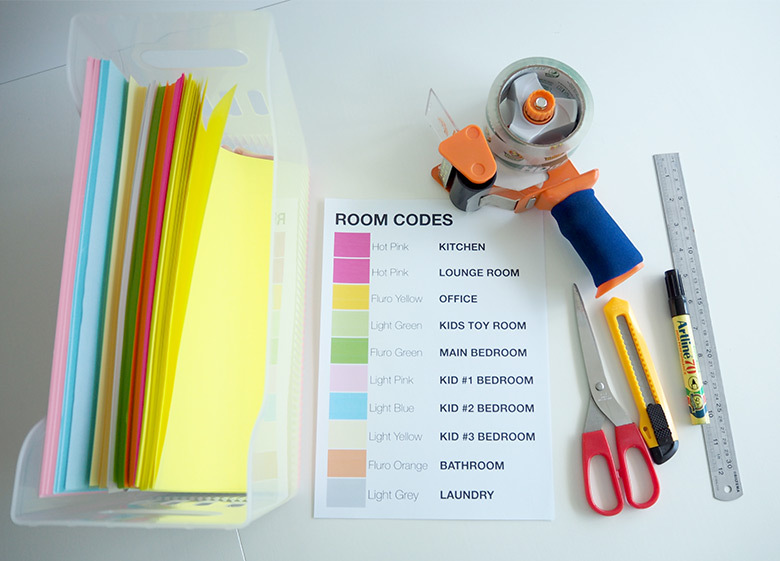 Love the color coding idea. Great way to stay organized. Thanks for sharing! Truly useful tips! I’ve moved more times than I care to count, but some of your tips were new to me and will help with an upcoming move. “Translating” from British English to American English also was fun. (smile) Thanks! You forgot 2 items from the essential list 1) the kettle and 2) the pillows for each bed. I packed a box for each bed in the new house with clean (correct sized) linen then on the morning of the move I added the pillows and special kids teddy’s and sealed it up. I also had one box labelled dirty washing and when I stripped the beds in the old house I put all the dirty linen in that box and it went straight to the laundry in the new house. A good thing to take yourself in the car is a picnic set. You then have cups and plates etc as soon as you arrive. I added a box with the kettle, tea / coffee supplies and the cereal and condiments for breakfast. 6 hours into moving a cuppa was a lifesaver. Very joyful post. I just stumble upon your blog and wanted to say that I have really enjoyed browsing your blog posts. I really admire the valuable information you have been able to share us through this post. Thanks for such post and please keep it up. What a great tips! really awesome. It would be very useful to reduce shifting hassles easily. I really admire this valuable information. Just found this post. I consider myself an organised person but in the few minutes I’ve spent reading this I can already tell how much time and angst you have just saved me. Thank you! I’m ready to get cracking with the packing now! (Unintentional rhyme). Oh this is just what I needed! T-minus 10 days till moving day and I’m so grateful for the motivation and handy tips! Loved the idea of wrapping up necklaces! And the bags around the hanging clothes! Your tips are very helpful and should be followed by everyone that needs guide and help with relocation. As we all know that it’s very stressful thing to move to a new place and every bit of help should be appreciated. I am surely going to share your post with my friends to spread all the helpful info you put out. Thanks! Do you have any tips on how to go about that the easiest way? Hi Jamie, sorry missed this as I have been offline. Hopefully these tips aren’t too late. Colour code your boxes as I mention in the post, this would have to be my #1 tip. 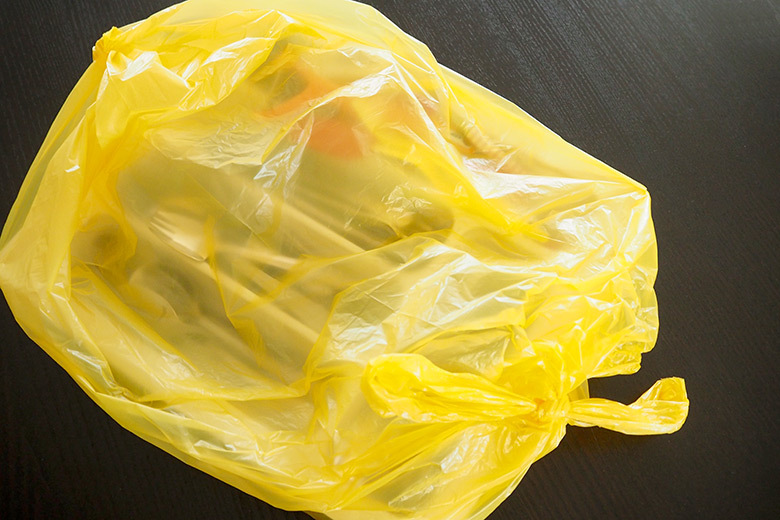 Don’t make them too heavy, declutter as you go so you aren’t transporting unnecessary items. Have fun moving! Hi Anna, I have a Moving Home Planner with checklist in my shop that could help you with the preparations leading up to your move. These are great and very helpful tips! My sister is going move next month and I’m definitely recommending your advises to her. I’m sure she’ll appreciate the ideas and and will deal with all her moving issues. Thank you for gathering all this nice info in one place. Greets! First of all, i would like to say excellent article. We are right that we should start packing things earlier and we also should think ahead that what we will need. Very important and caring information you provide to your articles. Thanks for such post and keep it up. Thank you for wonderful tips. I haven’t moved in 28 years! We are at the empty nest stage. The most challenging thing is I am moving into a fully furnished running business. I dont like any of their furniture and will sell it but also keep bus running while I sort this chaos out. Then I will reno room by room with my own things. Love the colour coding. Going to find pest control very necessary but difficult and also don’t like carpets but have to make do and will have to try clean them first. Think I will pack our things into double garage while I sort out all the stuff I want to sell! This IS going to be a challenge! ! There are no storage units available. Just a small town! Loved this information and packing hints, even the jewelry tips which I will use when we travel. We are moving across the US in 3-4 months and I have started going through our 39 years of treasures….yowza! So much stuff for 2 people. Am feeling this will give me more motivation to continue my quest. Thank you from the U.S. I always put the screws right back in the holes of the furniture I’ve just disassembled. No zip-top bag of screws to keep track of and because sometimes furniture has different sized screws, no guessing which screw goes where. Works every time! Hello, Thank you for the tips. Can I ask, when categorising the boxes, would you just put ‘kitchen’ or would you break that down more and have ‘kitchen – cutlery’ ‘Kitchen – gadgets’ if so, have you got a list? Hi Corrinne, It’s completely up to you. Perhaps writing more details will help you find certain things on unpacking day or start unpacking certain boxes that you know you will need before others. these tips are great! thanks for this article! I found this much useful information, as to what I was exactly searching for moving tips. I’ve enjoyed reading the post. It is very supportive and useful post. Thanks for such post and please keep it up. Moving is very stressful work and not an easy work. I am glad to find it. There are so many developers working on this part but this is one of the best innovative post ever. Thanks for such post. I’m a semi organised person but get a bit lost when it comes to processes like colour coding. I am even more excited about moving now and adopting some of your great tips that will see me stress less! Bless you and your organisational skills! 14. …or don’t involve the kids! Thank you for your kind words. Very helpful!